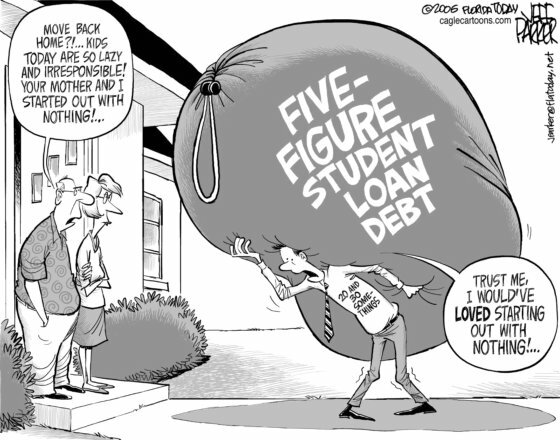 A recent report the report by the Federal Reserve Bank of New York says it’s likely that as many as one out of four borrowers are carrying a past-due student loan balance, hence student loan delinquencies are on the rise. That’s a much higher rate of delinquency than previously thought. By the more conventional measure, the Fed report says, 5.4 million out of 37 million borrowers with student loan balances as of last summer had at least one past-due student loan account — a 14.4% rate. The sum of those past-due balances comes to $85 billion, or about 10% of the total. The same 10% rate applies on average toÂ other types of consumer delinquent debt, such as mortgages and credit cards. About 167,000 people, or about one-half of one percent of all student-loan borrowers, owe more than $200,000, the New York Fed said in its report, which drew from Equifax credit data. The average balance per borrower: $26,300. For those looking to lower their monthly payments and interest rates, a private student loan consolidation might be the answer!